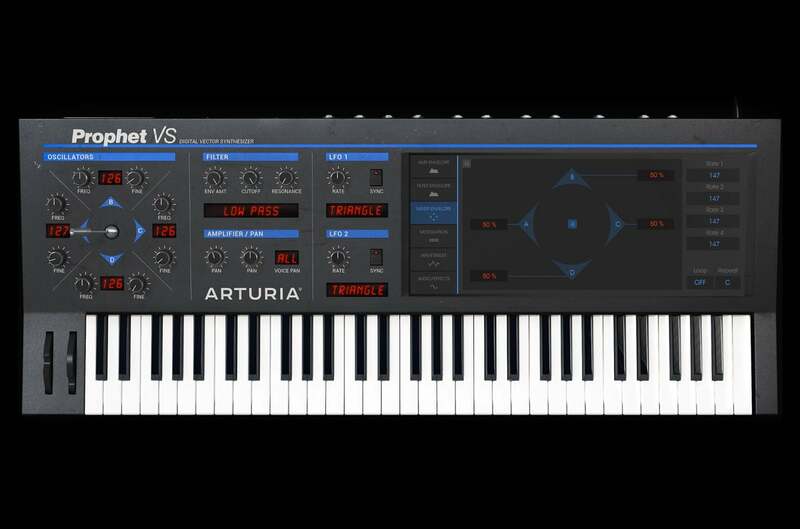 "With the Prophet-V, Arturia's product line breaks new ground by taking classic sounds yet pushing them further than mere emulations. The sound is both familiar and new, criss-crossing the boundaries between analog warmth and digital sparkle. 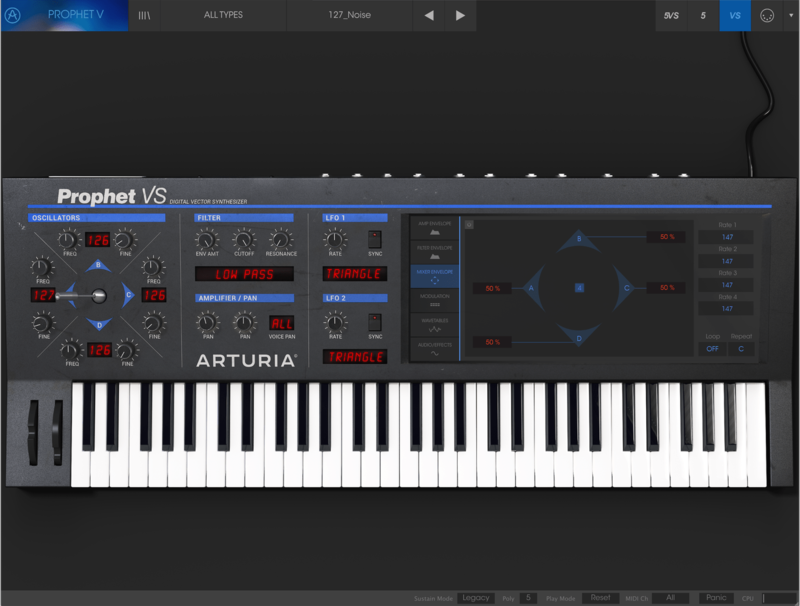 Exploiting the Arturia Prophet-V to the fullest is a challenge, but one well worth undertaking." "There have already been numerous soft synths purporting to emulate the Prophet 5, and I have not been impressed by any of them. 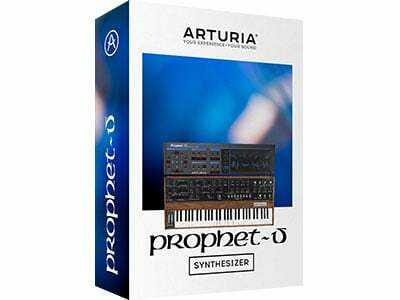 Arturia have created something closer to the original than any of these, and I am confident that Prophet V will continue to improve. 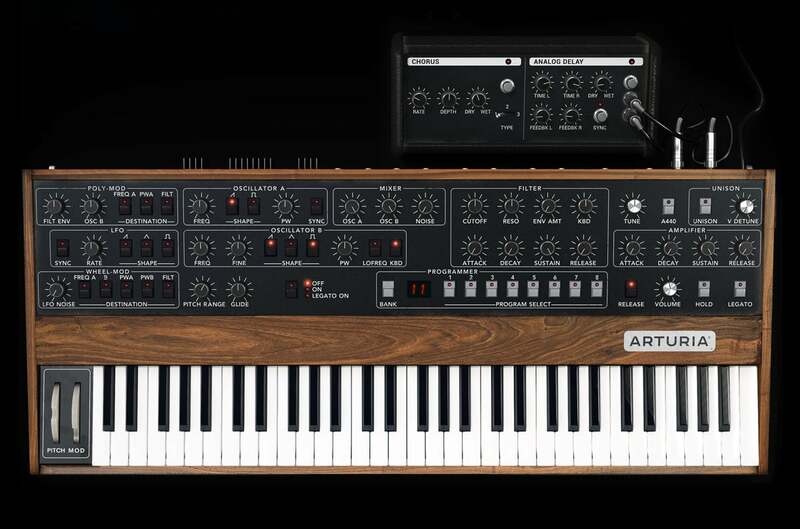 Furthermore, by creating this strange marriage of the Prophet 5 with one of my all-time favourite synthesizers, the Prophet VS, the company have shown the imagination needed to take their offering way beyond those of their competition." 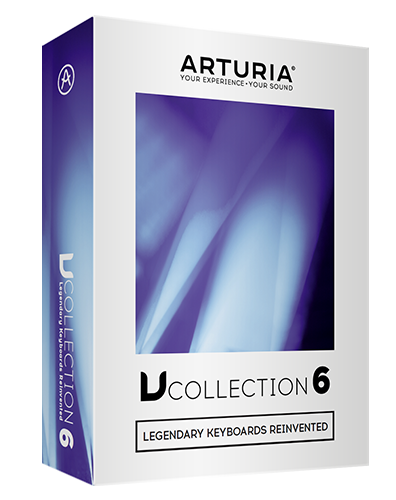 "Arturia has done a frighteningly good job of capturing the beloved gritty characteristics of this American-made classic. 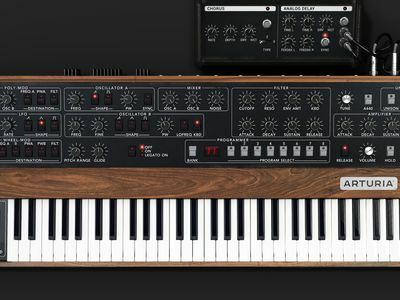 Being the first polyphonic analog synth, the Prophet 5's sound was all over records from '80s artists like Talking Heads, INXS, and Gary Numan, and as such, the presets do well to cover the sounds used in those days. However, Arturia includes emulation of the Prophet VS and a hybrid mode, meaning this synth goes far beyond churning out throwback fare. Certainly a great all-around plug-in that especially excels with leads and percussive sounds." 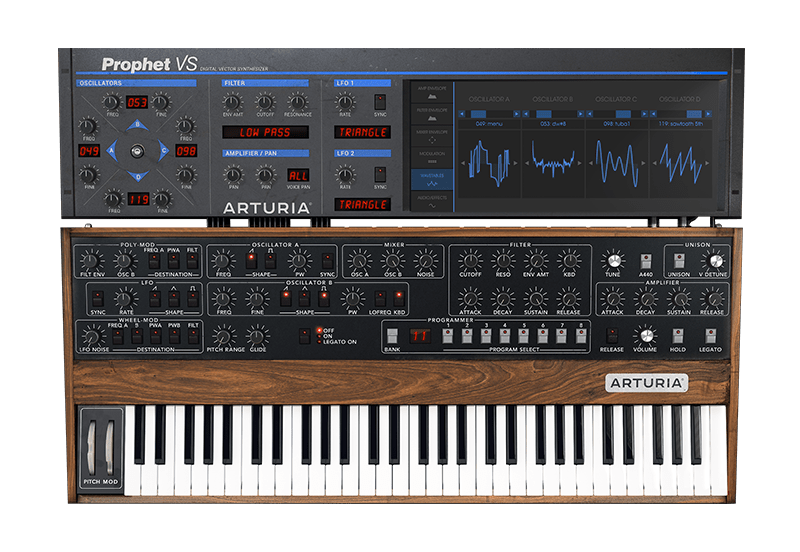 "Overall, Arturia Prophet V replicates the sound and feel of the Prophet 5 very well, while adding a number of features that modern synth users will want. With the inclusion of the VS model and Hybrid mode, Prophet V offers plenty of bang for your buck." "Prophet V is easy to load and learn, it sounds excellent and looks stunning, it is relatively CPU friendly and it carries a sweet price tag (especially versus the hardware). 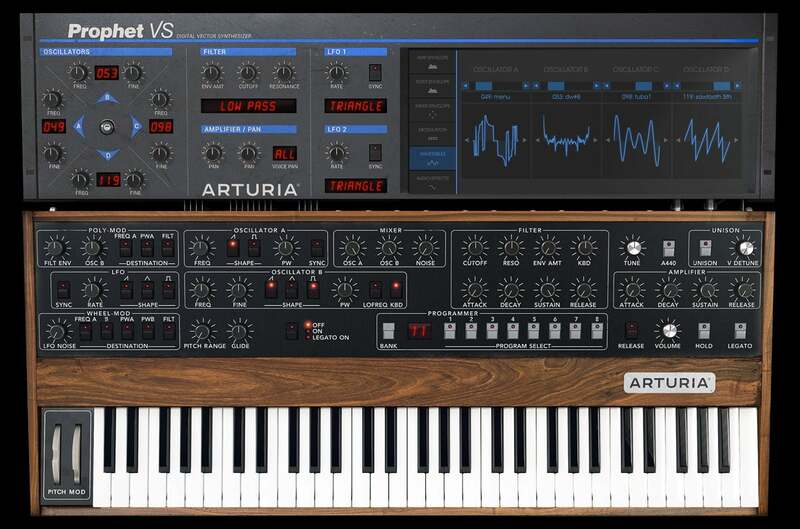 If you want to go deep into the heart of both traditional analog and vector synthesis without going deep into your pocket, look directly at Prophet V."
"Another Arturia triumph. The Prophet V is a beautifully re-created, amazing sounding and very flexible instrument. 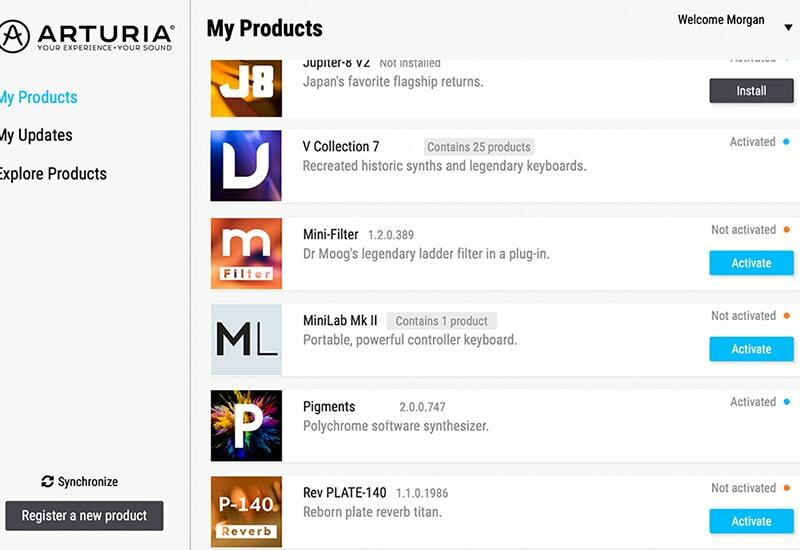 - MusicTech Excellence Award -"
"Prophet V is a worthy addition to the roster of Arturia soft synths. 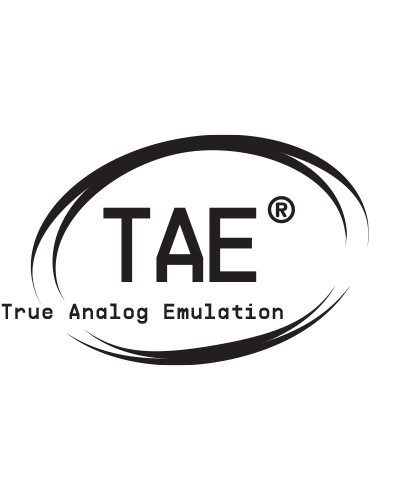 It autentically imitates the originals while going beyond their limitations with up to 32 voice polyphony, decent chorus/delay effects and the endless potential of hybridising Prophet 5 and Prophet VS sounds." "France's Arturia continues it's string of hits with the Prophet V. With Arturia's devotion to quality, excellent user interfaces and bringing this all to the musician at an extremely low cost, other virtual synth makers are now all looking up at the new high water mark." "Prophet V belongs to a new generation of virtual instruments that take full advantage of today's processing prowess to deliver a sound that even the most synth obsessed would be hard-pressed to tell from the originals. 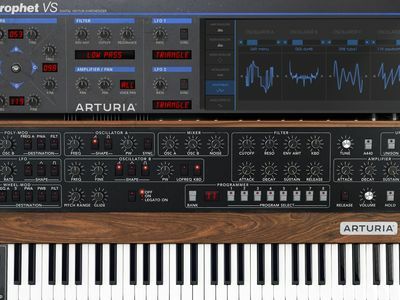 While I remain a fan of analog hardware, this is one soft synth that will definitely be finding its way onto my own tracks." "A savvy software recreation of Sequential Circuits' groundbreaking Prophet 5, and the equally influential wavetable synth Prophet VS, Arturia's V is literally two synths in one, a mightily flexible instrument that takes both software instrument design and sonics to new levels. 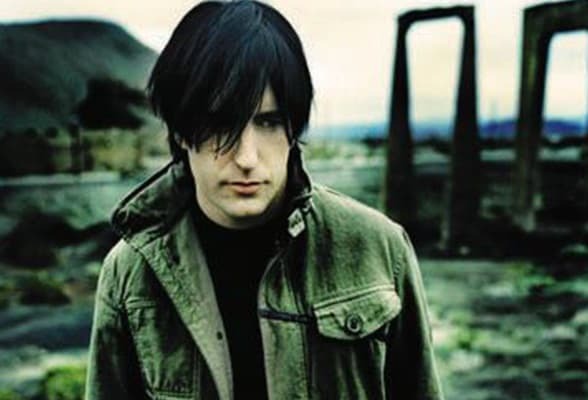 The must-have soft synth of 2006. 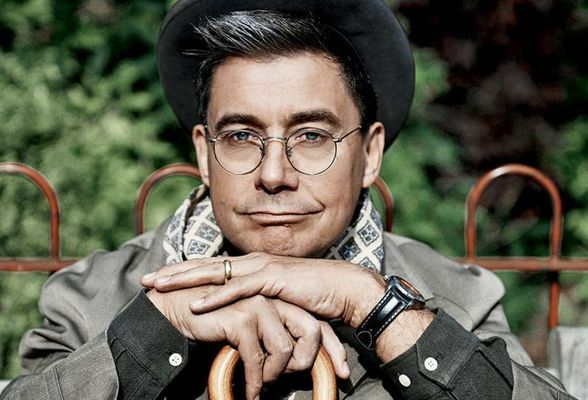 - Future Music Ace Awards 2007 - "
In 1981 when I was a student at Middlesex Uni, the studio technician asked me what he should spend his budget of £20K on. 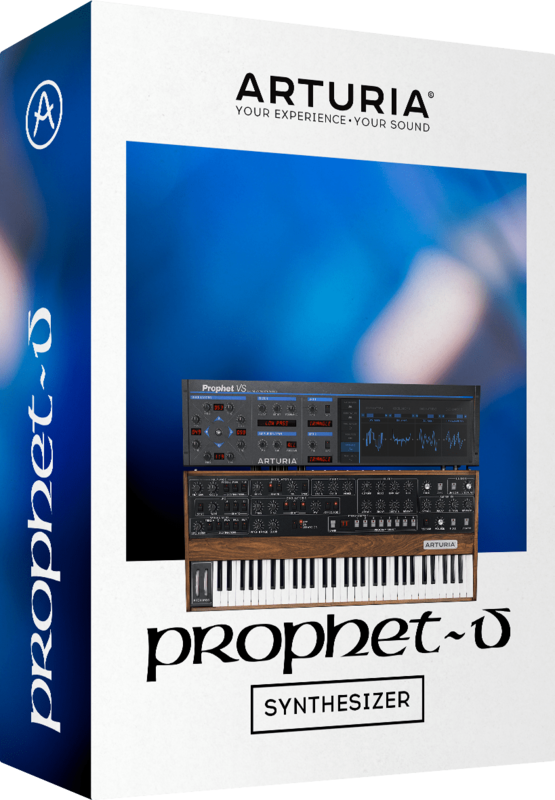 I said, “get a Prophet 10.” I cut the keys to the studio and I learned it inside out at night while the lights were out! 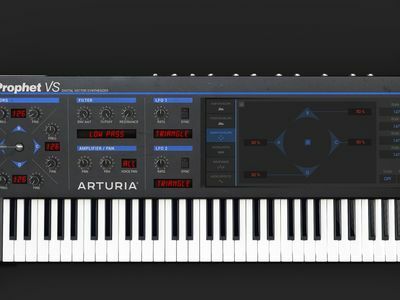 The Arturia Prophet V is a creepily close realization of the original. The spine tingling cross modulations are all there, and it's brilliant to rediscover the sound and feel of the original. 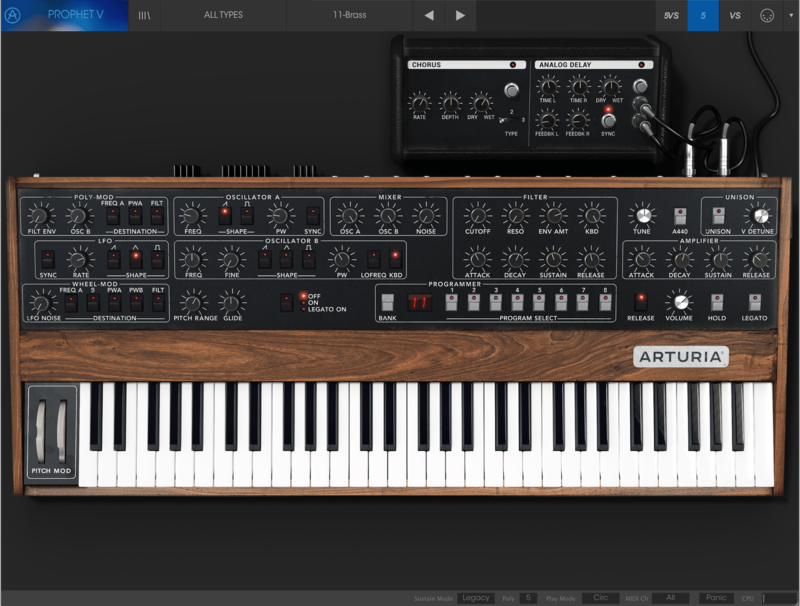 With the possibilities offered in hybrid mode, this is infinitely more than just two classic synths bundled together. A real winner in my book. Track made with 12 instances of the Prophet V. Additionnal drums have been programmed with an E-mu morpheus. 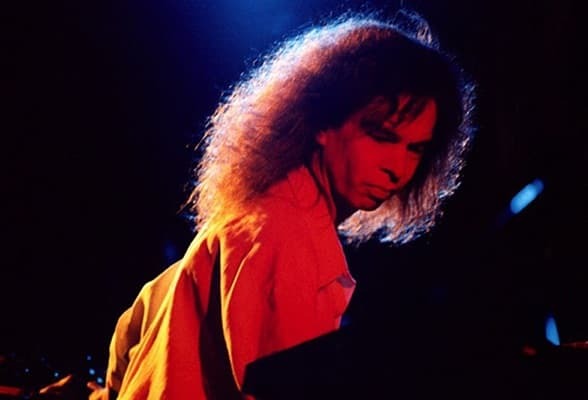 "I have chosen to create a track from the period in which the Prophet 5 and VS rained supreme synth: the 80's. The bass sounds are deep, the highs very airy and atmospheric. 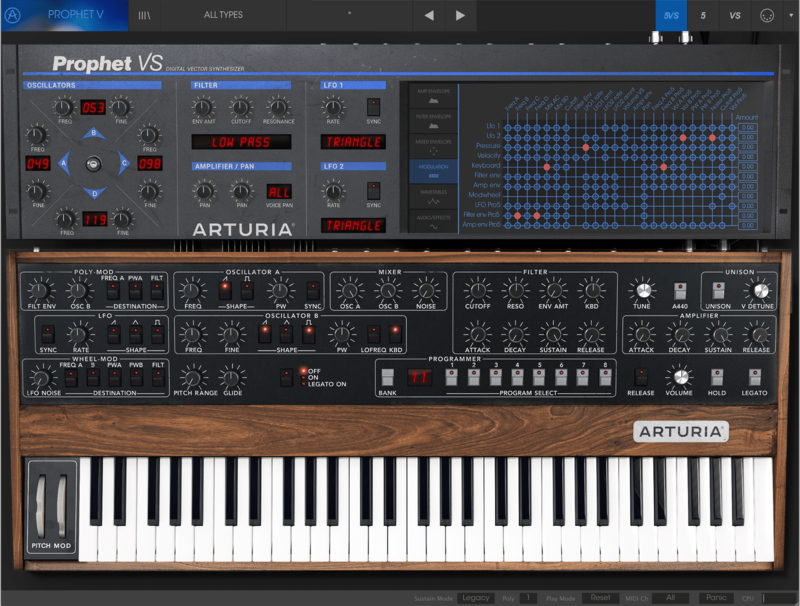 It was easy to achieve the 80's funk disco style of the time using the Prophet V.
Drum'n'Bass. Track made with Prophet V only, except for the drums. Demo track made with Prophet V only, except for the drums. Pad sounds programmed with Prophet Hybrid. Sequenced with Cubase SX. A Trance track by Yohannes Regnier - Silicon Sound - using the Prophet V (Except the hi-hat cymbals and the snare drum samples). Track made with Prophet V only, including drums. 16 instances of the Prophet V have been used in Ableton Live 5.0, one reverb from Live and one or two compressors. The final mix has been made with the Sony-Oxford limiter in Protools 7.0 M Powered. Electronic Trip Hop. Track made with Prophet V only, except for the drums.